Key West Sun + Starbucks is all we need. And that's exactly what we have at 24 North. Our on-site Starbucks has been the icing on the cake, or should we say the whipped cream on our frappucino since it's opening inside the hotel. And as if we weren't excited enough for spring drink season at Starbucks, they've gone and surprised us with two new flavors, perfect for lounging poolside at 24 North. Welcome home, Iced Cinnamon Almond Milk Macchiato and Coconut Milk Mocha Macchiato, we think you'll like 24 North as much as we do. Inspired by the sweet, agua fresca horchata, the Iced Cinnamon Almond Milk Macchiato is made with Starbucks traditional espresso roast, covered with almond milk, a dash of cinnamon dolce syrup, and drizzled with Starbucks' signature caramel sauce. It sounds like a drink made in heaven, which is why we're thinking the Iced Cinnamon Almond Milk Macchiato is perfect for those sunny, not-a-cloud-in-the-sky Key West days. 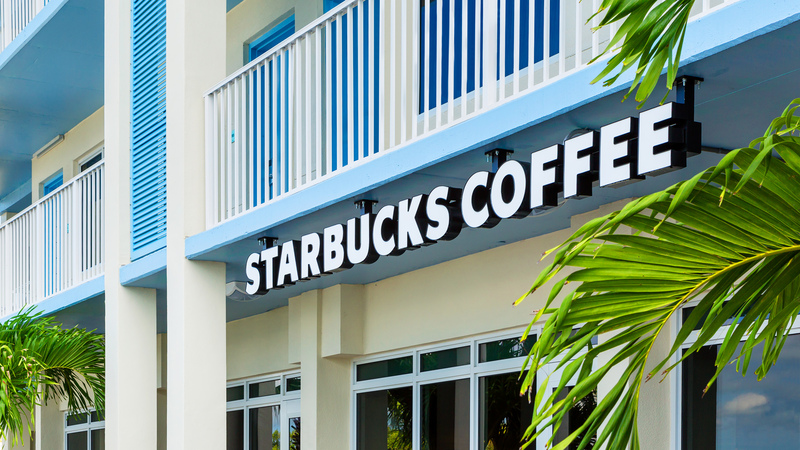 After all, isn't heaven having a Starbucks just steps from your Key West hotel room? And then there's the Coconut Milk Mocha Macchiato. You might remember this macchiato from last year when they were testing it out. The Coconut Milk Mocha Macchiato comes with fresh-brewed espresso, creamy coconut milk, and a healthy dose of caramel. It's then swirled to perfection with white chocolate mocha sauce. Can we say to die for? If you like, order it hot. The Key West spring is so pleasant, you won't won't feel the need to douse your drink in ice. In fact, you might want it that way. See you at the 24 North Starbucks!